Oh. My. Goodness. These turned out so so yummy! The pumpkin craze continues! I was inspired to find a creme pie cookie recipe after a friend from school made homemade oatmeal creme pies one day last week. (Check out Ashely’s blog, its so cute!) I got this recipe from the Tasty Kitchen, and these sure were tasty! The original recipe didn’t have chocolate chips, but I figured why not? Who doesn’t love a little chocolate? 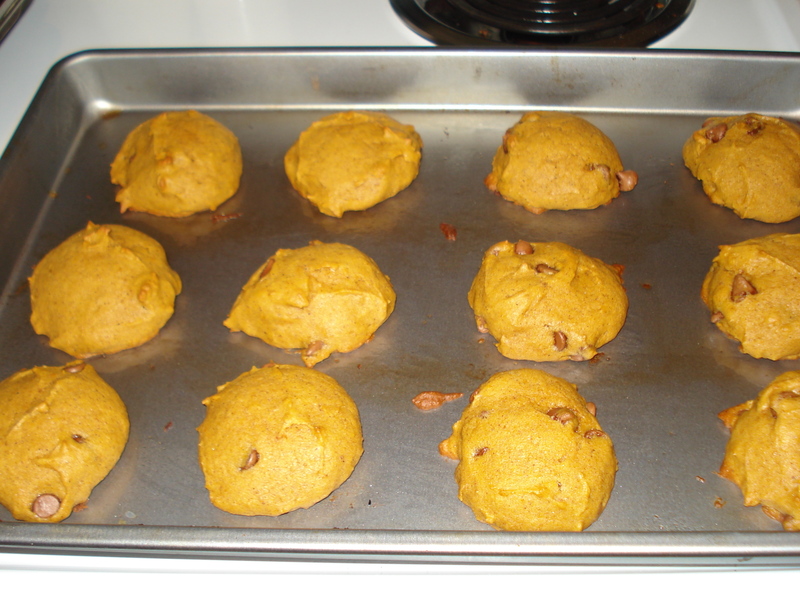 This is such a great pumpkin recipe! Not to mention, making these were a great distraction from studying orthodontics. 2. 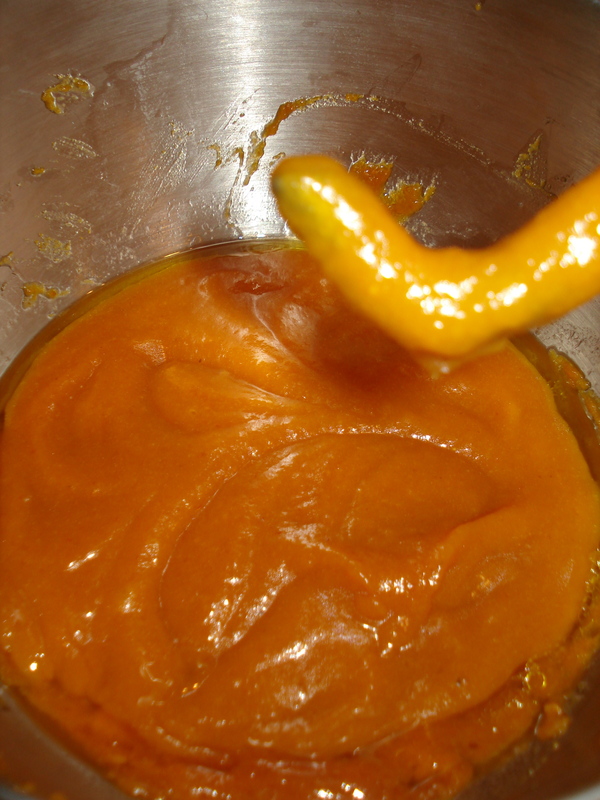 Beat together brown sugar, sugar, oil and pumpkin. Add eggs one at time, mixing well after each addition, followed by the vanilla. 4. 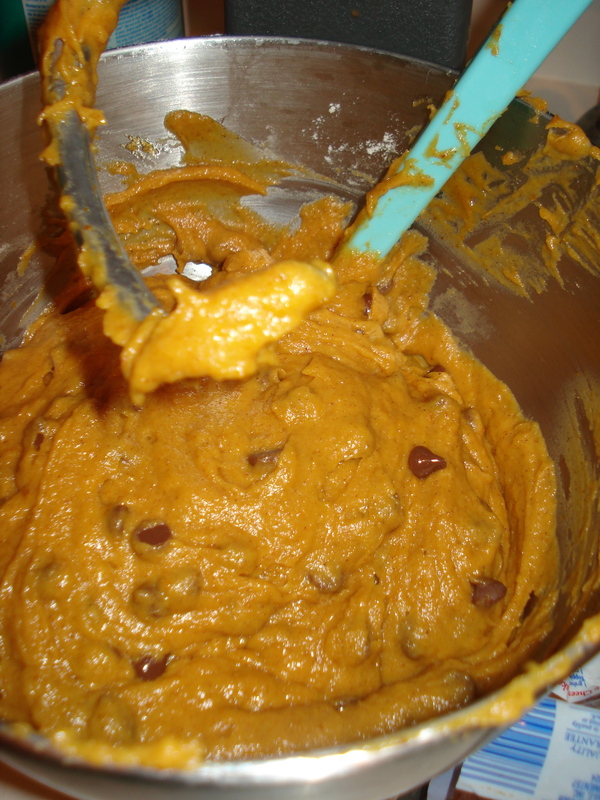 Slowly incorporate the dry ingredients into the wet until just combined. Fold in chocolate chips. 5. Spray baking sheets with PAM. Spoon tablespoon full of batter on baking sheet. Trying to keep each spoonful about the same size. 6. Bake for 12 minutes, or until firm. Cool on rack. 1. Beat together cream cheese and butter. Add powdered sugar, vanilla and cinnamon. Frost flat side of half the pies and top with another piece. Spread filling on flat side of pie. Place a second pie, flat side down on top. Now, it’s time to enjoy this delicious goodness. Nom nom nom. I love pumpkin! 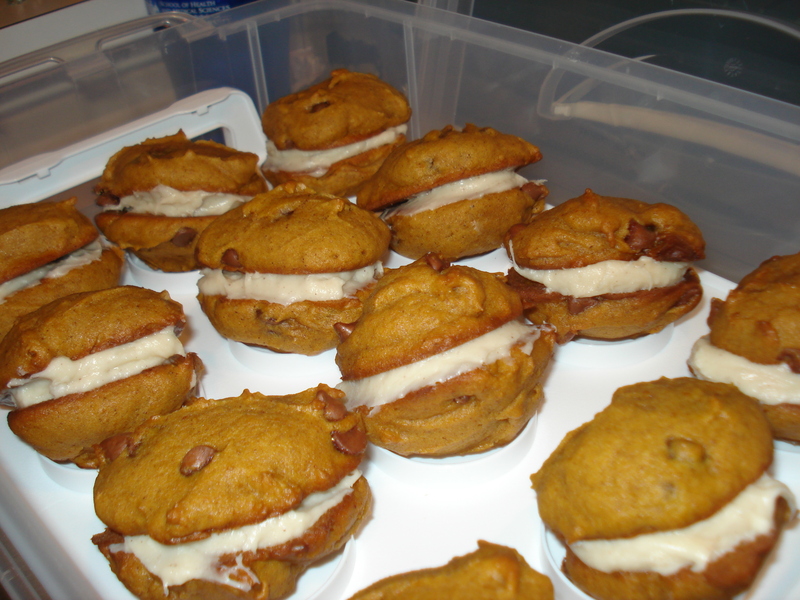 I love making cream pies- and pumpkin things! These look so good.